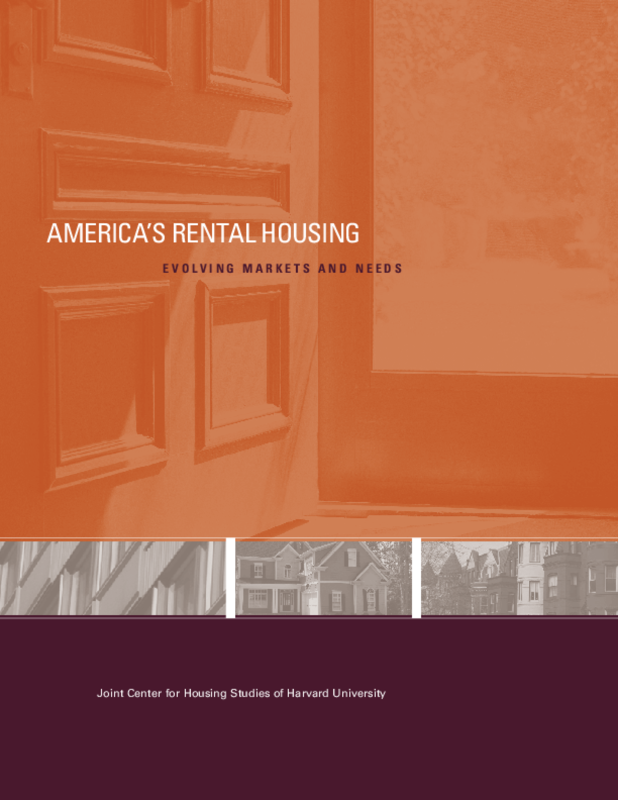 Rental housing has always provided a broad choice of homes for people at all phases of life. The recent economic turmoil underscored the many advantages of renting and raised the barriers to homeownership, sparking a surge in demand that has buoyed rental markets across the country. But significant erosion in renter incomes over the past decade has pushed the number of households paying excessive shares of income for housing to record levels. Assistance efforts have failed to keep pace with this escalating need, undermining the nation's longstanding goal of ensuring decent and affordable housing for all. Copyright 2013 President and Fellows of Harvard College.